Steven Paul Jobs, co-founder, chairman and former chief executive of Apple Inc., has passed away. Jobs was born in San Francisco on Feb. 24, 1955, and adopted by Paul and Clara Jobs of Mountain View, California. He was a techie from a young age, often sitting in on lectures at Hewlett-Packard in Palo Alto while attending Homestead High School in Los Altos. He eventually landed a summer job there, working alongside Steve Wozniak. Jobs enrolled in Reed College in Portland, Oregan in 1972, but dropped out after six months – he later said he “didn’t see the value in it.” He eventually returned home to California. He got a job at Atari, renewed his friendship with Wozniak and started hanging out with the Homebrew Computer Club. After trekking to India in 1974 — a trip he, like so many others, made to find enlightenment – Jobs returned home and looked up Woz. The two of them launched Apple in 1976. Their first project, the Apple I, wasn’t much to look at — just an assembled circuit board. Anyone who bought it had to add the case and keyboard. But it was enough for Jobs to convince Mike Markkula, a semi-retired Intel engineer and product marketing manager, that personal computing was the future. Markkula invested $250,000 in the fledgling enterprise. The Apple I begat the Apple II in 1977. It was the first successful mass-market computer, and easy to use, too. That would become a hallmark of Apple under Jobs. The Apple II had a huge impact on the tech business, but cheaper alternatives, like the Commodore 64 and the VIC-20, quickly eroded Apple’s market share. IBM’s open PC platform eventually won out over Apple’s closed approach, and the die was cast. The PC dominated the market. Still, Apple was by any measure a success. By the time Jobs was 25 in 1980, he was worth more than $100 million. Not that it mattered to him. “It wasn’t that important because I never did it for the money,” he once said. Apple once again shook up the industry with the Macintosh, announced in 1984 with a now-iconic Super Bowl ad challenging IBM. The Mac was a revolutionary step forward for personal computing — the first mass market computer to use a mouse-driven, user-friendly graphical interface. It was influenced by – critics would argue lifted from — technology Jobs saw a few years earlier at the Xerox Palo Alto Research Center. It irreversibly changed how we interact with computers. But then Jobs fell from grace. 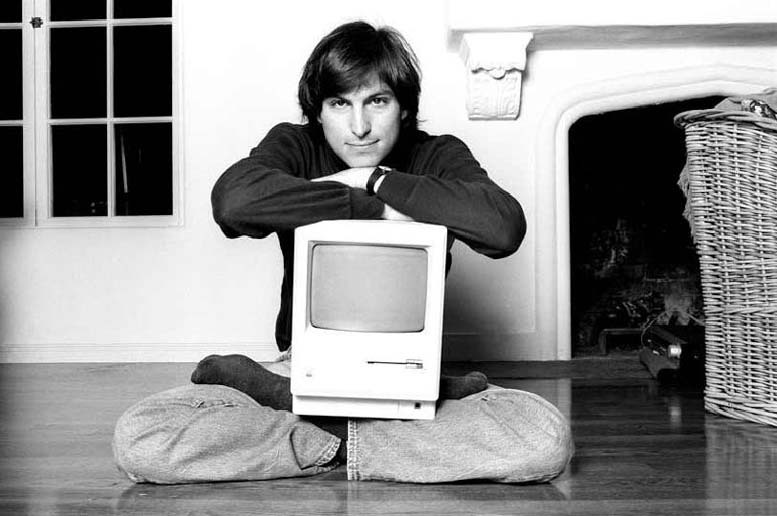 One year after the Mac’s introduction, Jobs was fired in a power struggle with CEO John Sculley. Jobs was devastated. He felt he’d let those who came before him – pioneers like David Packard and Bob Noyce – down, and he wanted to apologize. “It was a very public failure, and I even thought about running away from the Valley,” he admitted in a 2005 speech. But Jobs realized he loved what he did, and wanted to keep doing it. So he founded NeXT, a computer company, and a computer animation outfit that he renamed Pixar. As for Apple, it faltered in his absense. The company’s stock plummeted 68 percent, pushing Apple to the brink of bankruptcy. But in 1996, Apple purchased NeXT and Jobs returned to the company he founded. It wasn’t long before he was once again back at the helm, and Apple’s ascent began. One of Jobs’ first moves was to make peace with arch-rival Microsoft. That led to a $150 million investment from Microsoft, breathing new life into the moribund Apple. Jobs was once again firmly in control, and this time he would make sure he didn’t lose it. He ran Apple with a firm hand, enforcing a policy of secrecy, while instilling an unrivaled dedication to design and an unwavering commitment to quality. These things mattered so deeply to Jobs that he became a micromanager, one said to have put as much thought into the boxes holding Apple’s products as the products themselves. Apple’s incredible string of hits started with the iMac and continued with iTunes and the iPod in 2001, the iPhone in 2007 and 2010’s iPad. There were some misses along the way – Mobile Me and Apple TV – but Jobs, working with lieutenants like John Cook, made Apple one of the biggest companies in the world. Jobs had always been the public face of Apple, but he began retreating from the spotlight in 2004 when doctors diagnosed him with pancreatic cancer. It was a rare form of the disease, one that could be treated, and Jobs survived. His health, though, continued to deteriorate. His liver failed in 2009, and Jobs took a six-month medical leave. He returned, but was rarely seen. He announced he was resigning as CEO in August, and John Cook replaced him as the head the company. 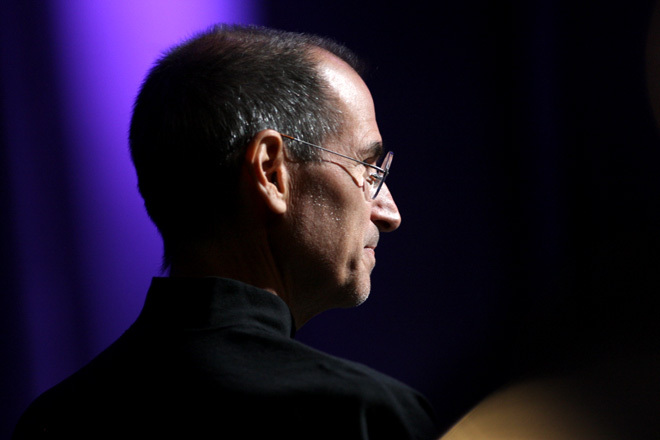 Here's an article from CNET called "How Steve Jobs Reshaped the Tech Industry." We will miss you steve jobs! thanks for all the contribution to the society and thank you also for all the things that you have shared. 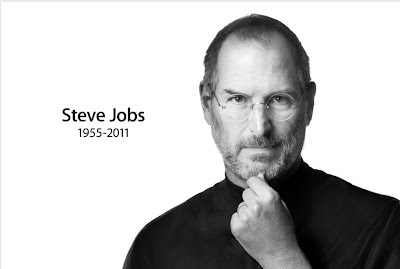 Here is my contribution for you LINK --> In Memory of Steve Jobs - Best CEO for 50 years. I am inspired to learn more about Steve Jobs. My first computer was an Apple, having had one of my brothers-in-law put me on to them back in the 1970s when they first came out. Everything was binary and made no sense to me at all, my Father said "these things won't catch-on their too complicated for the average person." I now rely on my iPod and fight with my three children over who gets to use my iPad (I got mine delivered the day they first came out). I have also had cancer, though not so severe as Steve did and I am Fifty-three. But, what a great life Steve had, and what a tremendous inspiration for others. Thanks Steve!